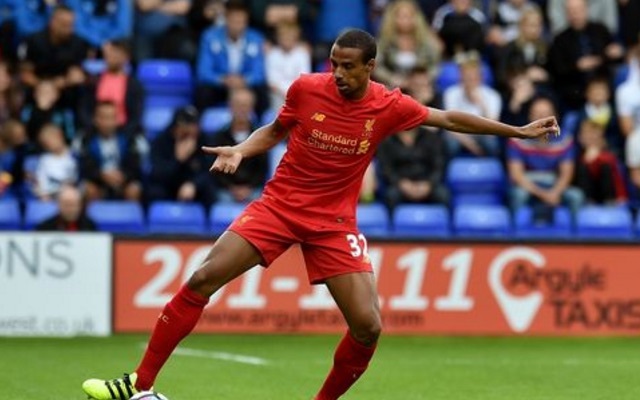 The injury picked up by Joel Matip versus Wigan is thankfully not serious, Jurgen Klopp has told supporters. Already, injuries to Mamadou Sakho and Joe Gomez will keep them out of the beginning of this season, while Kolo Toure and Martin Skrtel have left, and Tiago Ilori will be at the Olympics with Portugal. As a result, Matip and Dejan Lovren are the only healthy, senior centre-backs at the club right now. “I hope it’s only a minor problem,” Klopp said, reported by the Echo. “He said he’s had it one or two times already. “Joel gets better and better and better, you can see it. It’s not too serious, hopefully. Despite Matip’s fitness not being a long-term issue, Klopp is still bringing another defender in, with Ragnar Klavan set to sign shortly after the completion of the Estonian’s medical (via Telegraph). Like Matip, Klavan has impressed Klopp in the Bundesliga over the past three or four seasons, and will add aerial ability and a coolness on the ball into the side. We expect the 30-year-old to be more a backup than a regular starter, although with the luck we’ve had with central defensive injuries, expect Klavan to pick up regular minutes.